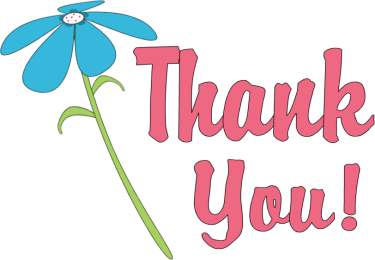 I have three active grandsons that I love to babysit several days a week, and I like to keep them busy with lots of activities that are enriching and possibly educational. My youngest grandson, Tahoe, is in first grade and will be learning about the Sun, its influence on Earth, and other objects in our solar system. My oldest grandson, Tigger (10) will also be studying the solar system and universe in school for fifth grade. And of course, Kona (8) loves reading about the planets and the rest of the solar system. That’s why I planned some multiple intelligences activities surrounding the sun and the solar system for my grands. We have already completed some of these activities, and others can be done later in the month. Some of the activities I can use with the grands for their homework assignments (such as their nightly recreational reading), but the rest of the activities I will do with them as they have time after their homework, free play time, sports activities, etc. We also worked on this study unit during Spring Break, which meant I could do more of these multiple intelligence activities with all three grands. Read and discuss books- It’s always nice to include books as part of any study unit, especially since the grands can use the books for their reading homework and take the Accelerated Reader quizzes at school. I usually get my books from the library. There are many books from which to choose, but I was focusing on first grader, Tahoe, so I chose books which covered those science standards. Several of the books were at a higher reading level, so they were great books for the older grandsons to read with me or by themselves. Solar System by Samantha Bell is a good book with which to start this unit especially for my early reader, Tahoe. It gives the basic information about the sun, moon, planets, asteroids, meteoroids, and comets. Tahoe loved reading it aloud to me and was able to use it for an Accelerated Reader quiz at school too (and he earned 100% on the quiz). Academic Focus: Vocabulary-I quizzed the grands on the key vocabulary words in this book. Sun and Shade by Mary Lindeen is a good early-reader book for this unit. It contains the basic information about the sun and the reasons the sun is important. It is too easy for Kona and Tigger, but it was just right for Tahoe’s reading level. He was able to practice his reading skills using this book and take an Accelerated Reader quiz on it at school. Academic Focus: Close Reading: The back of the book has several good discussion questions which I will use with Tahoe. There is also a simple experiment in the back of the book that I will do with all the grands (which is explained in the Spatial Intelligence section). 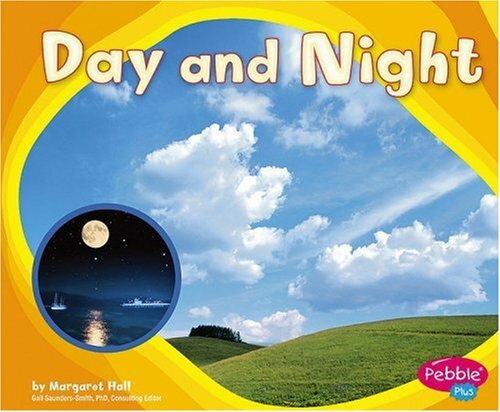 Day and Night by Margaret Hall is another good beginning book for Tahoe. 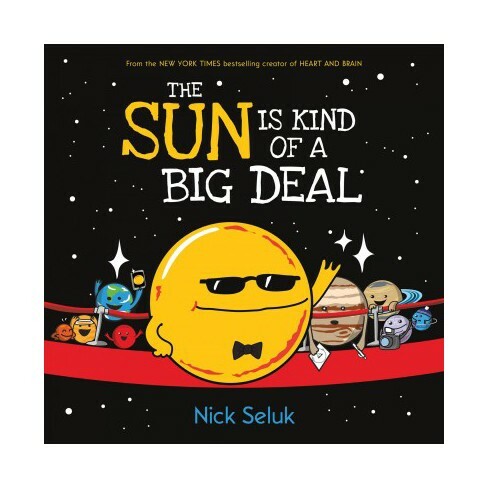 It discusses how the earth’s rotation around the sun creates day and night on earth and how that affects the living things that live on our planet. Since this book is written at a first grade level, Tahoe was able to use it for his reading practice homework and then take an Accelerated Reader quiz on it at school (and he earned 100% on his quiz). Academic Focus: Synonyms and Antonyms: I had the grands look for synonyms (rotates, spins) and antonyms (day, night) in the text. Sun! 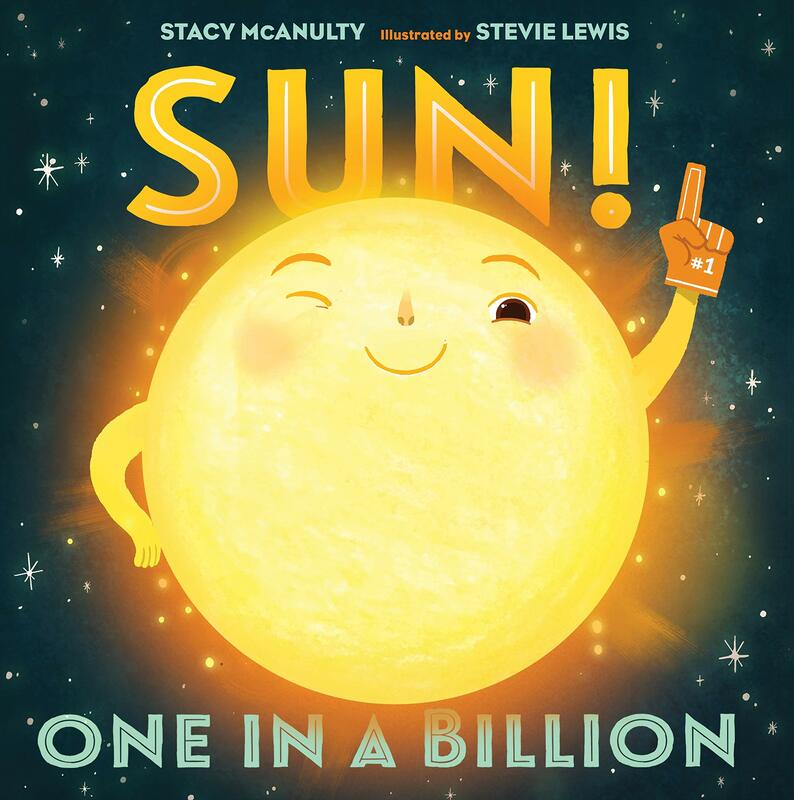 One in a Billion by Stacy McAnulty is a cleverly written book from the point of view of our earth’s Sun and even has a humorous Q and A section with the Sun at the back of the book. The illustrations are very engaging, which might be because the illustrator, Stevie Lewis, is a former animator. Academic Focus: Large Number Reading: I had the grands practice reading the large numbers in the book. 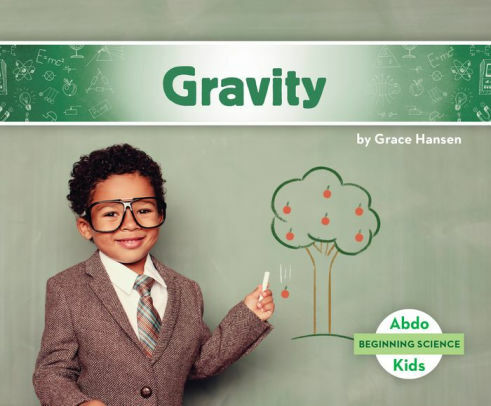 Gravity by Grace Hansen and The Sun by Grace Hansen are beginning science books that describe the basic concepts of their topics. The print is large and the illustrations and photographs are well chosen. At the back of each book are codes that can be used to look up a website with more information and activities. I adapted one of their craft ideas from the website to make a comet (see Spatial Intelligence).These books are written at a second grade level, but they were still good reading practice for Tahoe. Academic focus: Text Features: I used these books to quiz the grands on the table of contents, glossary and index text features. 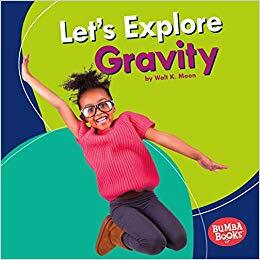 Let’s Explore Gravity by Walt K. Moon is a very engaging beginning book that explains with lots of examples that the grands could easily understand. The photographs in the book are also well done. There is a picture glossary at the end of the book, which is a great way to explain the definitions of words. The book is written at a first grade level so Tahoe can use this book for homework and take an Accelerated Reader quiz on it at school. Academic focus: Details: I asked the grands to explain examples of gravity that were explained in the book. 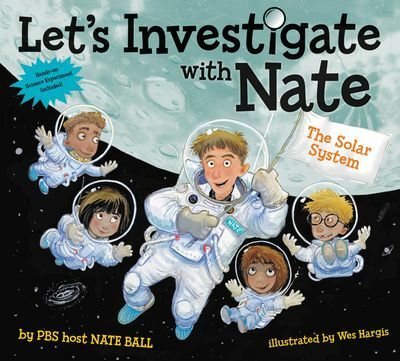 Let’s Investigate with Nate: The Solar System by Nate Ball is part of a series of books by this PBS star. The grands and I enjoyed this engaging book in which a group of children visit their local science museum every week to go on a science adventure with Nate. The book is part comic book, part science journal and part narrative that explains concepts such as gravity, satellite, planets, asteroid belt, and even… hydrostatic equilibrium (say that word 3 times quickly!) There is even an experiment in the back of the book to make a gravity slingshot. Academic focus: Expressive Reading: There is a lot of dialogue in this book (in the speech bubbles) so I had the grands read the conversations aloud to practice putting lots of expression in their oral reading. 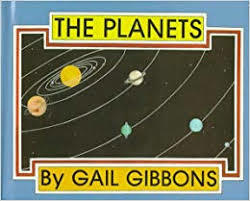 The Planets by Gail Gibbons was especially interesting to Kona (8). He enjoyed learning a little about the history of the discovery of the planets and how scientists are continuing to study them from unmanned spacecrafts. 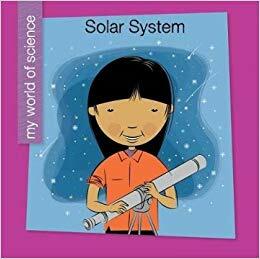 This book explains what each planet is made from, how long it takes each of the planets to rotate (comparing to Earth measurements), and how long it takes each planet to orbit the sun. Academic focus: Sequence of events: I asked the grands to recall and put in order a few of the events described in the book such as: when the Curiosity rover landed on Mars, when Voyager II visited Neptune, when people recognized the first six planets, and when Pluto was re-designated as a dwarf planet. Reading Larger Numbers/Expanded Form: When we read about the solar system, the grands need some concept of the meaning of those big numbers. So this is an excellent opportunity to have them practice reading numbers in the millions and billions. I also showed them what those numbers look like in expanded form. For example: Pluto is 4.6 billion miles from the Sun. What does that number mean? Another way to say that number is 4,600,000,000 or 4 billion plus 6 hundred million or 4 x 1,000,000,000 plus 6 x 100,000,000. I could also talk about scientific notation such as Earth’s distance from the Sun is 93,000,000 miles or 9.3 x 107. Telescope Viewing: Grandpa Jim has a telescope so he has set it up for the grands to see the moon, and a few of the planets when they are in the sky (Mars and Venus especially). Later, we may take them to a local college astronomy night or community astronomy club to have a chance to see the night sky through some larger telescopes. Shadow drawing: I had Tahoe pick a toy, construction paper, and a crayon. Then we went outside and placed the toy on the paper so the toy’s shadow was on the paper. Then Tahoe drew around the shadow on the paper with the crayon and wrote down the time. This is the first time Tahoe traced the shadow of his toy on the construction paper. He went back two more times during the day to outline the shadow. I had him color in the shadows at the end of the day to show the shadow grew smaller throughout the day. 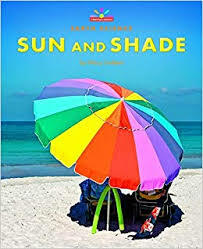 the different colors represent 9:30 a.m., 11:30 a.m., and 12:30 p.m.
Sunscreen Experiment: This easy experiment was found in the back of the book Sun and Shade which I explain in the Linguistic Intelligence section of this post. The experiment requires a piece of construction paper and some sunscreen. I covered the palms of my grandsons with some sunscreen. Then they pressed their palms on some construction paper so the sunscreen transferred to the paper. Next the paper was placed in the sun for several hours. When the experiment was complete, we discussed why their palm print on the paper stayed the same color while the rest of the construction paper changed color. Tahoe has put sunscreen on his hand and then presses it to one side of the folded construction paper. His brothers did the same on different colors of construction paper. Results: The top paper had the hand with sunscreen stamped on it and was placed in the sun for several hours.. The bottom paper is a sample of the original color of the construction paper. Make a Comet: There was a great idea on the abdokids.com website for a comet craft idea. 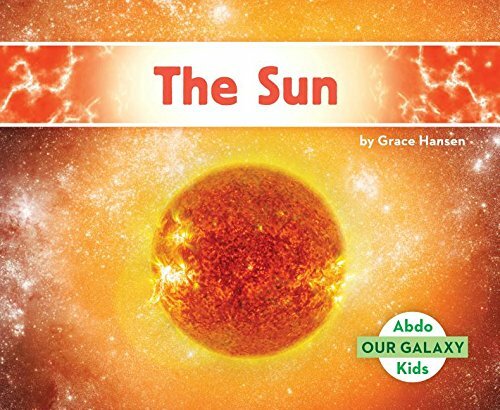 To get to the activity, I needed the code at the end of the book The Sun by Grace Hansen (included in the Linguistic Intelligence section). The basic idea was to use half a styrofoam ball and cover it with foil to make the head of the comet. After gluing that to construction paper, the directions used glitter pens and more glitter to make the tail of the comet. I had to use different materials than in the example in the book because I wanted to use what we already had available at the house. We went into the recycling bin and cut up a cardboard paper towel holder to cover in foil for the head of the comet. I pulled out crayons, markers, and paints for the grands to use to make the tail. We also cut up small pieces of foil and glued it to the pictures, since we didn’t have any glitter. The grands were allowed to use paints, crayons, markers, and foil to create their comet. I love these completed comet pictures. Make the Moon: I adapted an idea that I saw on numerous websites. I made a mixture of white paint and flour. Then I had the grands paint a moon with the mixture on some black construction paper. Using the caps of water and juice bottles, they created meteors by pressing into the paint/flour mixture. We added stars by dipping a q-tip into yellow paint. Painting with white paint and flour. Stamping the caps of water and juice bottles in the white paint mixture. This was a great fine motor activity for the boys because they really had to work at moving the paint around with the plastic wrap on top of the paint. The “suns” while they are drying. Finished product: The grands chose to paint the background around the sun. Saturn Relays: I will have the grands line up on one side of the front yard and I’ll place a hula hoop on the opposite side. The grands will take turns running to the hula hoop, swirling it around their waist while they spell S-A-T-U-R-N (because Saturn has rings), race back to the line where their brothers are waiting, and tag the next boy in line to run to the hula hoop. I will time them to see how long it took for all the boys to have a turn. They can play the relay again to see if they can beat their first time. Another alternative is to have the grands say the planets in order as they spin the hula hoop or spell other planets. (This activity also counts as Bodily-Kinesthetic Intelligence). Shadow Tag: This is a variation of tag, except instead of tagging someone’s body, the person who is “It” has to step on their shadow. Then that person becomes “It” and needs to tag someone else’s shadow. Planets Relays: First I had the grands trace circles from the bottom of a cup onto construction paper. The three of them had to cut out eight circles altogether and label them with the names of the planets (which took some negotiation because for some reason, two of the grands argued about who was going to do Mars). Then we took the eight circles outside to the front yard and placed them on one side of the yard and the grands waited for their turn in the relay on the other side of the yard. The object of the game was to take turns running up to pick up a circle and bring it back to where the brothers were lined up. Of course, the planets had to be collected in correct planet order. Tigger and Kona helped the youngest (Tahoe) remember the order of the planets by teaching him “My Very Excellent Mother Just Served Us Noodles.” I timed them during the relay. We played the relay again to see if they could beat their first time. (This activity also counts as Interpersonal Intelligence). Show the Motion: I wanted the grands to understand the rotation of objects in the sky so I had them demonstrate orbits of Earth around the Sun and the moon around Earth. For example, I would have Tigger stand in the middle of the yard as the sun. Then Kona would be the Earth and orbit around the sun (Tigger). Next I would add Tahoe as the moon and he would need to rotate around the Earth (Kona). I will probably have the grands do this in slow motion so they can better visualize this concept. Also, I would do this more than once, so that each grand has a chance to be the Sun, Earth, and the moon. Journal Writing: Each grand has a journal, so I will ask them to write in it during our study unit. They can write or draw about anything from the unit, but I may pose this question to them: What is your favorite planet? Explain why. Independent Reading: I leave the library books in a convenient place for the grandsons so they can browse or read them on their own. Kona enjoys a good book while he uses the foot massager. Tahoe is able to read this book by himself.